NEW YORK (WABC) -- After the deadliest mass shooting in modern US history, many people are asking how suspected shooter Stephan Paddock, who rained bullets down on a crowd of concertgoers in Las Vegas, got all his weapons. The gun shop where he previously purchased guns (though it is unclear if they were the ones used in the attack) said all background checks were passed and procedures followed. Machine guns are hard to obtain legally, but it turns out an inexpensive kit can turn a semi-automatic rifle into one resembling a fully automatic weapon. Without ever seeing the guns, police knew immediately, according to gun experts, that they were dealing with a killer armed with fully automatic machine guns. "I mean, you heard it in the video, that's fully automatic," former FBI special agent Manny Gomez said. "That's a machine gun firing at that defenseless crowd. So they knew right away." Paddock had an arsenal of at least 20 guns, many semi-automatic. And it appears from sound on video that at least one was fully automatic, which he used to target victims 32 stories below his hotel room. Gun experts tell Eyewitness News it is quite possible that the guns were obtained legally, which is often the case in mass shootings. The guns used in the killing of 48 people at an Orlando nightclub last year were legally purchased, and so too were the guns used by the killer in the Aurora, Colorado, movie theater shootings. But those were semi-automatic weapons, easy to obtain. A fully automatic gun that can shoot more than 100 rounds a minute were banned in 1986. If Stephen Paddock used a machine gun manufactured before the ban, it would technically be legal. Another possibility is that Paddock used a "bump" or "slide" kit advertised on the internet that can easily convert a semi-automatic gun into a "simulated" machine gun. The kits are popular among recreational gun users but are seen by gun control advocates as a huge loophole around the machine gun ban. "These conversion kits are easily accessible, can be bought online," Gomez said. "And it turns out what is already a very super deadly weapon that can fire multiple rounds in a minute into a super deadly weapon that's basically a machine gun." Besides the legal purchase of guns, Paddock had another trait common with many mass shooters. 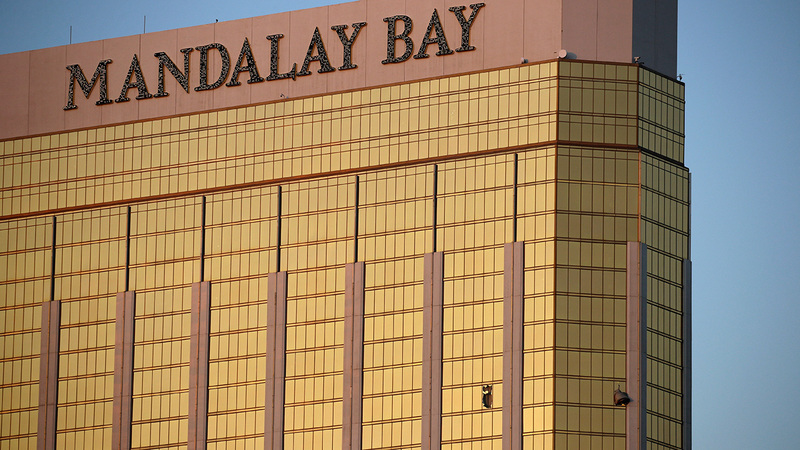 According to an FBI report that analyzed every active shooting case between 2000 and 2013, 40 percent of the shooters committed suicide, as did Paddock. And like him, most shooters were males acting alone. "Now, we have to worry about the neighbor next door, who could potentially be the next shooter," Gomez said.